Most people don’t like change. It’s disruptive and makes people uncomfortable. In business, managing change effectively can help ensure your new system implementation, strategic direction, process adjustment, or entire business restructure is successful. Avocado provides end-to-end change consulting across both public and private organisations for the delivery of organisational, technology and cultural change. We have the experience and consultants to mobilise quickly. If you have a project coming up that require change management, get in touch with us now. The first step for any change project is to build a current culture map in an organisation. We then define the desired future state of culture. This provides a gap analysis between current and future state. We then define the activities required to shift values, behaviours and beliefs to the future state. We often work with client HR or OD consultants to embed key behaviours into the ongoing performance criteria to ensure we can measure success. We interview key stakeholders to establish relationships and understand compelling issues. We then develop communications plans in line with their needs. We ensure impacted stakeholders have an early view of the change. The earlier this view is provided the better the resilience and likelihood the change is successfully embedded and sustainable. implementation target operating model design and implementation. Enterprise cloud and standard operating environment transitions. 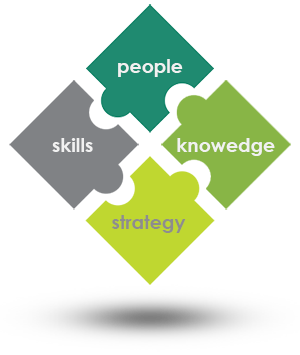 Our people have the knowledge and skills to implement a strategy for real change in your organisation.